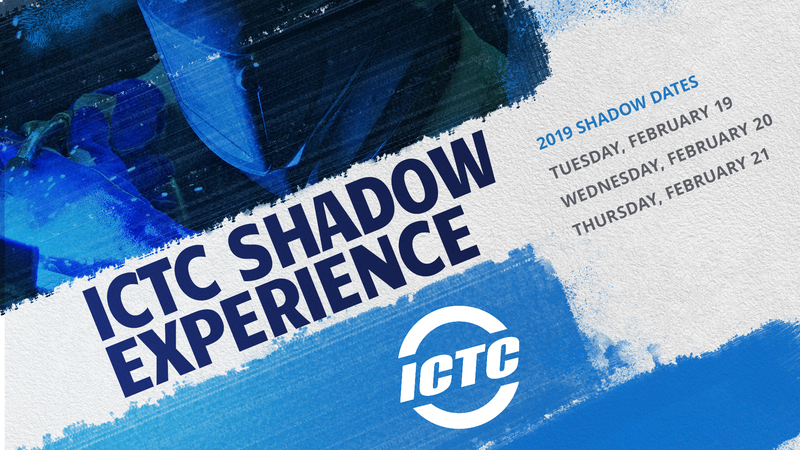 ICTC Shadow Experiences are scheduled for February 19, 20 & 21, 2019. Shadow Experiences offer the chance to learn more about enrollment at the ICTC, acquire new, technical skills, use state of the art equipment, discuss future job related and post-secondary educational opportunities. Shadowing leads to Enrollment…come check out one or two of your favorite ICTC programs. Make up sessions can be scheduled if needed. To find out more about our programs please click the link below.